I am Joshua Alexander Opoku. I am from Kumasi in Ghana. I come from a family of five: my father, mother, and two siblings. My father is an evangelist, and my mother is unemployed. Speaking of family, it sounds tough when you have a single person contributing financially to the family. My mother was once a food vendor; however, illness forced her to quit her work. Austerity is my style, but the most exciting part of my life is that I am the son of an ex-military officer. My father was once an army commander who performed two coup d’états during his era in the military. He then resigned to become an evangelist. My mother, at a tender age, lost her both parents and siblings. She has struggled enough, and her life story has taught me never to give up even if it sounds like there is no hope. My family has taught me always to let love lead. With the struggles and sleepless nights I have passed through, they have taught me to me to be disciplined and resilient. I am not the only child of my parents to attend, but my sisters, also, passed through hard times before going to university. I love Ashesi University, and I am grateful to the donors who made it possible. The Jim Ovia Foundation Leaders Scholarship means a lot to me as it has given me, I always say, the chance to determine my future, a fate not afforded to all. I am thinking of studying Computer Science, and the Jim Ovia Foundation Leaders Scholarship has made it possible. 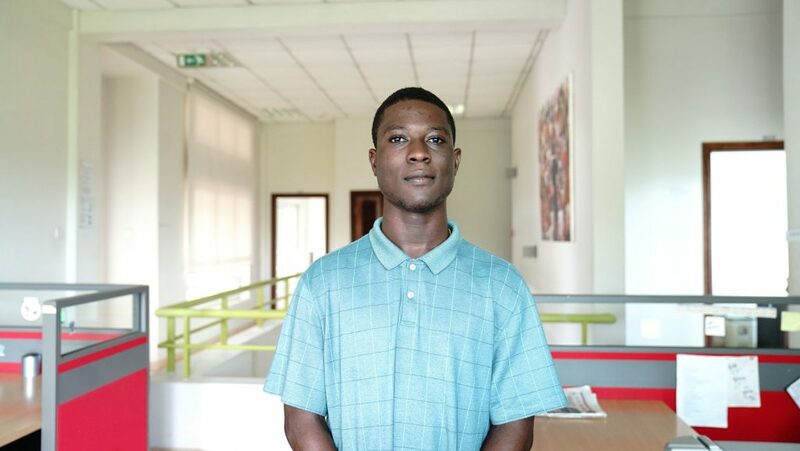 I chose to study at Ashesi University because of its honor code, liberal arts system, and the diversity of the students. After inquiring about Ashesi University, I realized that Ashesi is conducive for educational purposes and produces ethical and entrepreneurial leaders. I plan to study Computer Science for my major. Technology and computers are moving the world forward and studying Computer Science will give me more knowledge on the technological issues of my country. I would also prefer or plan to study business-related courses to help me understand the business world. “Knowledge is power,” they say. Knowing these existing areas will help me to become phenomenal, gaining the ability to face the outside world. During my most recent community service, I realized there are more lives out there to be touched. So, my focus after Ashesi is to be an entrepreneur for the needy. I plan on launching a foundation, which will motivate schoolchildren and teachers. I also plan on creating a great synergy of students who will be solving Africa’s problems.